My wife and I are in our mid 40s, save 15% a year and have a 401(k) balance of more than half a million dollars. Are we on the right track toward retirement?--R.P. The fact that you're saving at good clip and that you already have a sizeable amount tucked away in retirement savings about half way through your career suggests that you're likely on pace toward a secure retirement, or at least not too far off. But it's always smart to check now and then to get a better handle on where you really stand. After all, the last thing you want is to blithely assume everything's going swimmingly only to find out when you're ready to retire that you're not nearly as prepared as you thought. That said, keep in mind that no assessment can give you complete assurance that you'll be able to retire on schedule and live the post-career lifestyle you envision. There are too many variables, uncertainties and potential disruptions along the road to retirement for such certainty. But the idea is to come away with a decent sense of whether you're on the right path and, if not, change what you're doing so you can tilt the odds more in your favor. You can get a quick estimate of whether you're generally on track by looking at your "savings to income ratio," or how many times your annual salary you currently have tucked away in retirement savings accounts at a given age. For example, Fidelity Investments has calculated such ratios -- or what it calls "savings factors" -- for people age 30 and older based on a variety of assumptions, including that you'll continue to save 15% of pay throughout your career and invest more than half of your savings in stocks. So, for example, if you earn $50,000 a year, plan to maintain your current lifestyle in retirement and expect to stop working at 65, Fidelity estimates you should have about six times your salary, or about $300,000, saved in retirement accounts by age 45. But if you figure your spending will drop by 15% after you retire, that six-times salary benchmark at age 45 falls to just four-times salary, or $200,000 instead of $300,000, as you won't need as large a nest egg at retirement to sustain your lower level of spending. Assume, on the other hand, that you'll live large in retirement and boost spending by 15%, you would need to have a higher multiple of salary set aside by age 45, an estimated seven times pay, or $350,000 in this scenario. The age at which you eventually plan to retire also affects how much you should have tucked away by a given age. For example, if the 45-year-old in the example above plans to retire at 62 instead of 65 and maintain his pre-retirement lifestyle, he would need to have seven times salary instead of six times by age 45 to fund those extra years in retirement. And if our hypothetical 45-year-old expects to hold off retiring until age 67 and maintain his pre-retirement lifestyle, he would need savings equal to just four times salary because he'll be drawing on his nest egg for fewer years. In short, depending on the age at which this 45-year-old plans to retire and what type of retirement lifestyle he might lead, he might need as little as three times salary (retire at 67 and reduce spending by 15% in retirement) by age 45 to as much as nine times salary (retire at 62 and spend 15% more) in order to have a shot at meeting his retirement goal. You can gauge whether you have enough set aside in savings at different ages based on when you expect to retire and the retirement lifestyle you expect to lead by going to Fidelity's Get Your Savings Factor calculator. 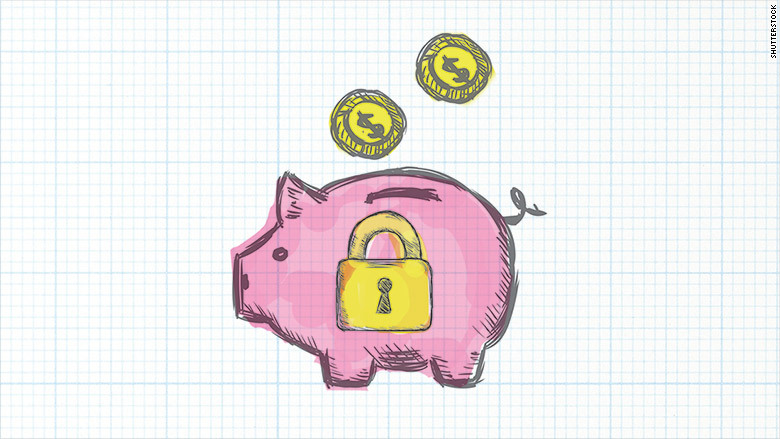 While this savings-to-income approach is fine for giving you a general idea of whether you're making progress toward a secure retirement, it's also worthwhile to occasionally get a more customized and nuanced view of where you stand. One way to do that is by going to a tool like T. Rowe Price's Retirement Income Calculator. Aside from allowing you to include such information as your current income, savings rate, retirement account balances, how your savings are currently invested and whether you expect to receive income from a pension or part-time work in retirement, this tool also gives you greater flexibility for factoring Social Security benefits into the analysis. That's important because generally the more you earn during your career, the lower the percentage of your pre-retirement earnings Social Security will replace. And unlike many other calculators, this tool uses Monte Carlo computerized simulations to make its projections and then estimate the chance that you'll be able to retire at the age you wish and have sufficient income to maintain an acceptable lifestyle. If you find your chances are uncomfortably low -- say, less than 75% to 80% -- you can see how making changes like saving more, investing differently or postponing retirement might boost them. By doing this sort of analysis periodically and tracking your chance of success from year to year, you can also see whether you're making progress toward your retirement goal or falling behind (and thus need to step up your efforts). If you're not confident about doing this sort of evaluation on your own -- or you have other issues you need to address, say, whether to take a company pension as an annuity or lump sum or whether to downsize or take out a reverse mortgage -- then you may want to go to a financial adviser who can crunch the numbers for you and help you consider your options. Many advisers aren't eager to do this sort of review on a one-shot basis. But you can find advisers who are willing to work for an hourly fee or on a project basis by going to the Garrett Planning Network site. Planners in the network charge just under $200 an hour on average, although hourly fees can typically range from $175 to $250. Finally, remember that any evaluation you do on your own or receive from a pro gives you only a snapshot of where you stand now. Many things can change en route to retirement -- a layoff could disrupt your savings regimen, a severe bear market could put a major dent in your savings balance, medical expenses or other unexpected outlays could force you to dip into your savings, etc. -- so it's important to do this sort of retirement check-up every year or so and make adjustments as needed. Put off this sort of re-assessment too long, and you may have to scramble to get back on track or, worse yet, relegate yourself to a more meager retirement lifestyle than you'd envisioned.